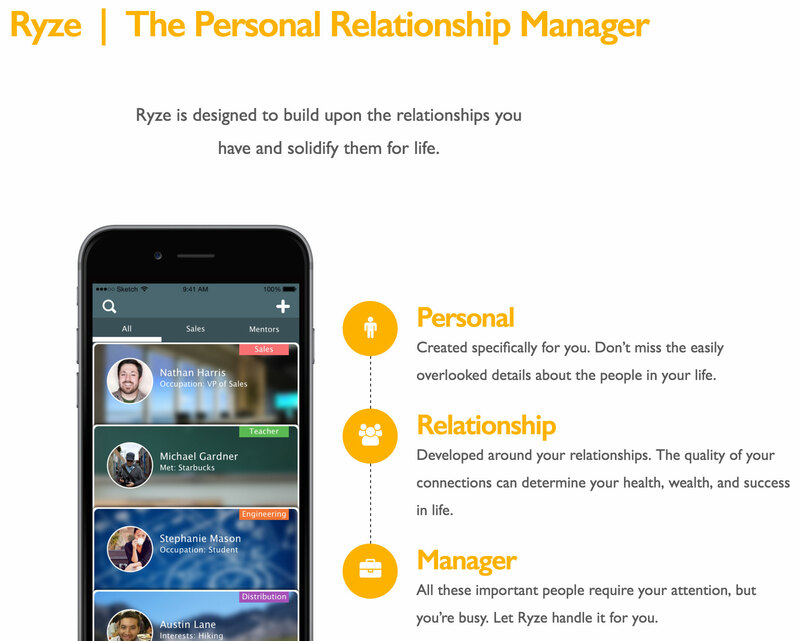 Ryze is a great tool to manage your relationship (personal/professional). Our team wanted to create a small interview of the founders Brian Canlas and Lucas Bazemore. We hope that you will enjoy this app, try it out and share your comments on this app. What does Ryze stand for? Ryze itself does not mean anything particular; however, for us, it represents purpose, care, and sincerity. Our motto is “Build Better Relationships”. Our team consists of co-founders Brian Canlas and Lucas Bazemore. We focus on creating genuine value and building strong relationships. Brian is an iOS Developer and the CTO while Lucas is a Web Developer and focuses on Business Development. Our goal is to create purpose through phenomenal products. What stage are you at the moment? We’re still in beta phase, but we’ll be primarily on the apple app store. Beside the functionalities we can find today, what’s next? Our next set of functionality will focus on integrating the platforms that our beta users are using most and making the transition with Ryze seamless. Any advise for the new generation of founders? Our advice is to be in the moment. It’s too easy to get caught up in thinking about the past and future. When you’re working on your business, be all there, and don’t let worry or fear or laziness take over. Just chop wood and carry water. That’s all you can do.